Captain Kirk wrote: I'd be more direct, don't care about the nuances of photo ops and prestige etc. Face to face, always better than second hand info. In principle that makes sense. But when it comes to Heads of State, Prime Ministers and the like, they are not individuals like you and me. What they offer and what they decide in their give and take is not up to them. In this case, Trump had UN resolutions, national policy, South Korean policy, history of its relations with Korea since the war - and so on. Anyone who expects Trump to have briefed up on and understood all that is surely living on same planet far away! Even Kim has restrictions. He may have murdered some of his relatives and most of those against him but his very being depends on the loyalty of those around him. He can not afford to go beyond a certain step if he is always protecting his back. So I disagree that when it comes to international relations involving the world's greatest power, face to face meetings cannot produce results unless the full details of what is going to be discussed has been agreed in advance. For Trump to fly twice across the Pacific just to cosy up with a dictator without any resultant agreement however small, is a massive waste of time and US taxpayers' expense. I have no doubt the South's President Moon has been working harder behind the scenes. The next few months should be left to him as he develops his North/South getting on better relations strategy. That is working well. He should then pave a long term path and present it to Trump. Of course, Moon himself is dependent on the USA. But he's a far better negotiator - and the nukes and a vast other arsenal are right there on his doorstop. I understand your logic and I certainly don't think Trump is smart enough to ever get a good deal. I also wonder if Moon really thinks he can change Kim from a Despot to a partner. I think it is unlikely . Kim and his family have survived because of total control . Certainly a small part of his population may understand how backward they are vs. South Korea. But the vast majority believe the drivel that Kim and his family have been feeding them for many years. Economically the North is a disaster . The majority of the population barely gets enough food to survive and of course the sanctions have been loosened in reality by China and Russia. China fears a gigantic migration across their borders if people are starving and the only interest Russia has is stirring the pot against the US. I don't see a logical answer for this mess unless somehow the people of the North revolt. I know unlikely but stranger things have happened when people are faced with no choice. Meanwhile Trump continues to do the bidding of Kim because he is likely not to approve the military exercises that are essential for the Umbrella the US provides for the South. Seems to be a mess that only a God could fix and since I consider religions a joke, I'm not holding my breath! If I were ever to vote Republican for president (which I doubt I would ever do), this is the man I would vote for. 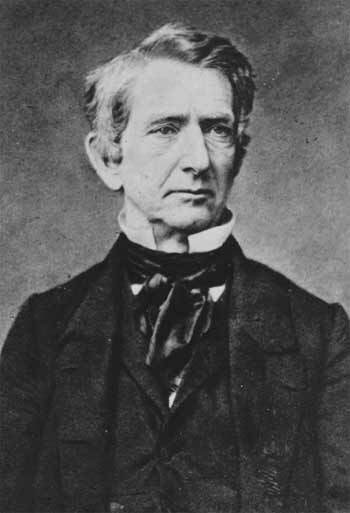 Incidentally, not that it means anything, but I also think he happens to bear a striking resemblance to Abraham Lincoln's Secretary of State, William H. Seward. Washington (CNN) - Attorney General William Barr on Sunday released his summary of the main conclusions from special counsel Robert Mueller's investigation. Notably, Barr has always been opposed to an obstruction case against the President. Before he was attorney general under Trump, Barr wrote a memo in June 2018 to top Justice Department officials, saying he believed an obstruction case against Trump was "fatally misconceived.